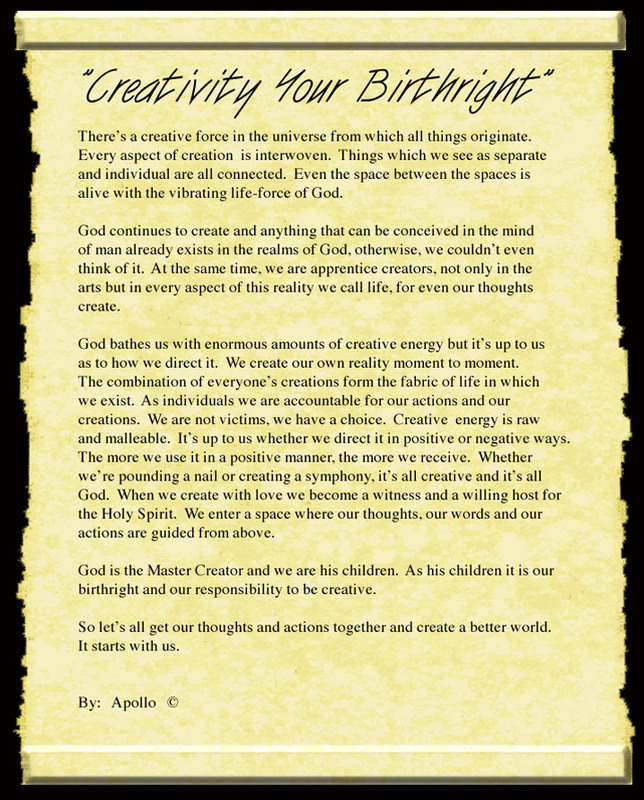 We are proud to Announce that "Creativity Your Birthright" written by Apollo has Won the Editors Choice Award. It has also been chosen for publication in "Immortal Verses" a Poetry Compilation, beautifully bound coffee table book. In 2002 Apollo was nominated for Poet of the Year by the International Poets Society for his poem "The Christmas Spirit" published in "Under a Dolphin Moon"